Intex Windows & Doors is a reputable company that has been serving Los Angeles and the greater surrounding area for over the last decade. They are a locally owned and operated business which distributes a large assortment of quality doors, windows and hardware from companies such as Plastpro, Milgard, Jeld Wen and many others. You really cannot go wrong with the durable fixtures that you can get from Intex, including the highly praised Milgard Tuscany Windows Los Angeles. This is just one of the series of windows that is available from Milgard, a trusted leader in the door and window design industry. You are sure to have heard their name, even if you have never seen the work that they do. Everything that comes from Intex is finely crafted by master craftsmen, so you know that it will be premium grade and stand up against the test of time. You would never want to take a chance on the quality of your home or commercial products, and why should you have to? We love making it easier for you to shop and order design essentials. It is convenient for you to look over the user-friendly catalog available on the site, which features images and detailed information on each of the products. If you happen to want to know more about any of them, you are always welcome to speak to a customer service representative about your questions and concerns. Milgard Tuscany Windows Los Angeles are attractive, and serve as a beautiful addition to your house. They have clean lines and sturdy frames, and come in a variety of finishes from which you can choose. It is always great to have your choice of the finer details on the windows you want on your home. If you cannot find what you need within the many options in the catalog, a customized product may be right for you. This is perfect for situations in which a window needs to be a certain size that is out of the ordinary, or you have a unique request for ornamentation on the windows. We always make an effort to go above and beyond for our customers, and as a result have many who have stuck by us throughout the years. If you want to see how we operate and what we have done prior to placing an order, all you need to do is look over testimonials from people who have used our services and purchased from us. It is important to instill trust early on, and that is just what we do. If you are looking for Windows Replacement for your commercial or residential building, Intex can help. In addition to providing you with stylish choices for windows, we also can tell you everything you need to know when replacing fixtures. In many towns around the Los Angeles area, it is required that you have a permit to make such changes. This is particularly the case when they will be facing the street or visible to your neighbors. It can seem like a stressful experience, but it really can be a smooth process to navigate when you know what you are doing. Let us provide you with assistance to get your permit so that you can get on with business or your lives in general. Convenience of the website, superior customer service, low prices, and a full lifetime warranty are even more reasons why you should make the leap and shop from Intex Windows & Doors. Are you concerned about the type of windows you get for your house being secure and long-lasting? If this is the case, you'll absolutely love the milgard tuscany windows los angeles that we sell at Intex Windows & Doors. The Tuscany line is crafted out of a blend of vinyl that makes it a premium fixture. It is certain to look great in nearly any home, whether it is a traditional or more modern style building. You can call and have a consultation to determine if this type of window may be right for you. It's as simple as filling out a form with minimal information so that we can get back to you quickly and begin to take steps to get your dream windows. There are so many benefits that come with the milgard tuscany windows glendale. Among the most favorable is that they feature an award-winning SmartTouch lock that provides you with security that is easy to implement. This is truly a great advantage for your family, as you want to do everything in your power to protect them. 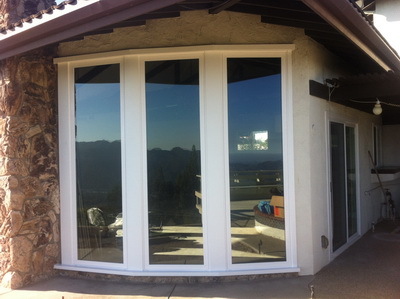 Another thing that is amazing about the milgard tuscany windows los angeles is how energy efficient they are. In fact, they are designed to ENERGY STAR standards, making them suitable for any type of climate. This window keeps you comfortable and it has a simple beauty to it. If you are seeking Replacement Windows Burbank, our retail website is a good place for you to start. You can see examples of the fixtures that you can purchase for your residential and commercial projects. Choose among the top rated brands that we have in stock, including Milgard and Fleetwood. You will not go wrong when you order these products to upgrade the quality and appearance to improve your quality of life. We welcome you to contact us with your questions and to see what you might acquire for your house or commercial building remodeling or construction project. You'll be happy with the outcome and your family and friends will be impressed with what you have done.